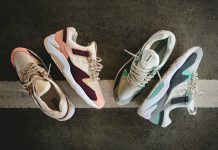 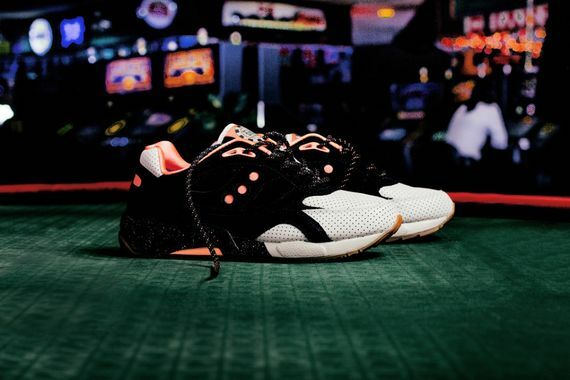 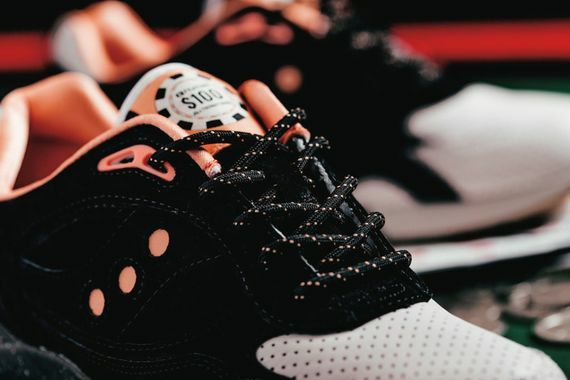 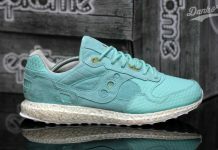 Saucony has enlisted the help of Feature for the latest rendition of their hybrid G9 Shadow 6, and if you’re feeling lucky these might be the kicks for you. 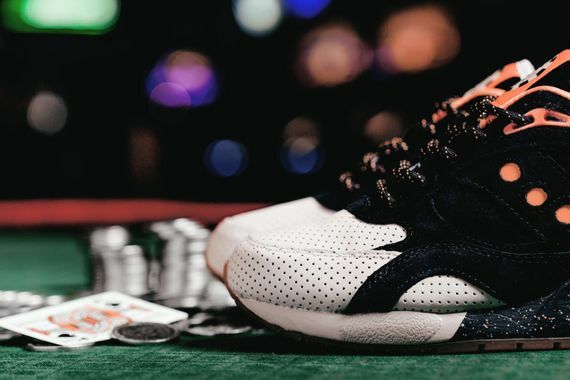 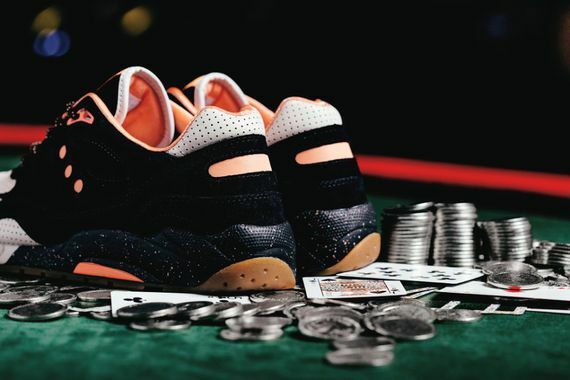 Dressed here in the form of a $100 chip are some black, white and salmon colored kicks that ooze wealth. 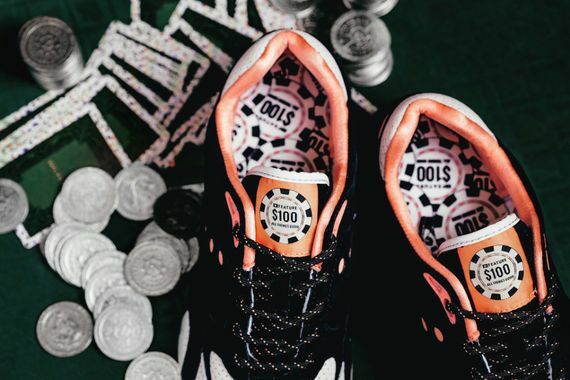 The clever color-blocking and detailed graphics make the “High Roller” theme apparent. 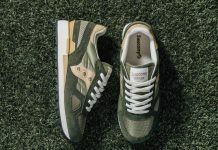 The kicks also feature 3m accents, a speckled midsole, gum outsole and the Feature “All Things Good” motto. 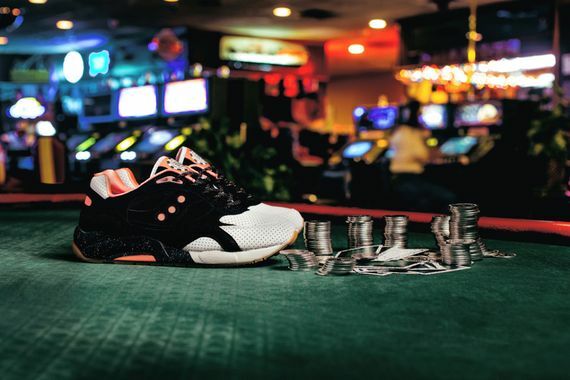 Score yours starting December 19th, they through in extra rope laces and custom playing cards, how can you resist?